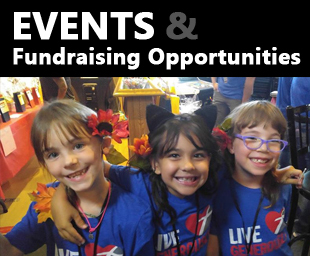 Great volunteer event today! What a great way to kick off the holiday season for both the volunteers and recipients! Received unexpected Thanksgiving dinner package, I’m very speechless and very thankful. Thank you for your kindness, loving and giving that everyone’s involved. God bless. 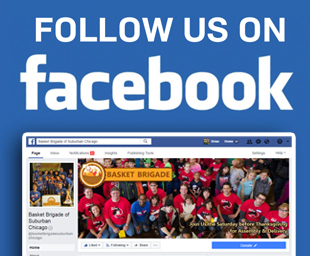 Just an Incredible experience on Saturday with the Basket Brigade of Suburban Chicago. They prepared for months and it showed. Countless families will receive much needed Thanksgiving meals thanks to all of these volunteers and countless others who delivered. It was a thrill to be able to surprise people at their door. Happy Thanksgiving Everyone! 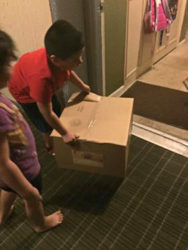 I want to thank you so much for the huge box containing thanksgiving dinner for my family. It means so much to us that you do this not only for my family but for 763 others. God bless you all. My family and I received a box tonight full of goods for our Thanksgiving dinner! 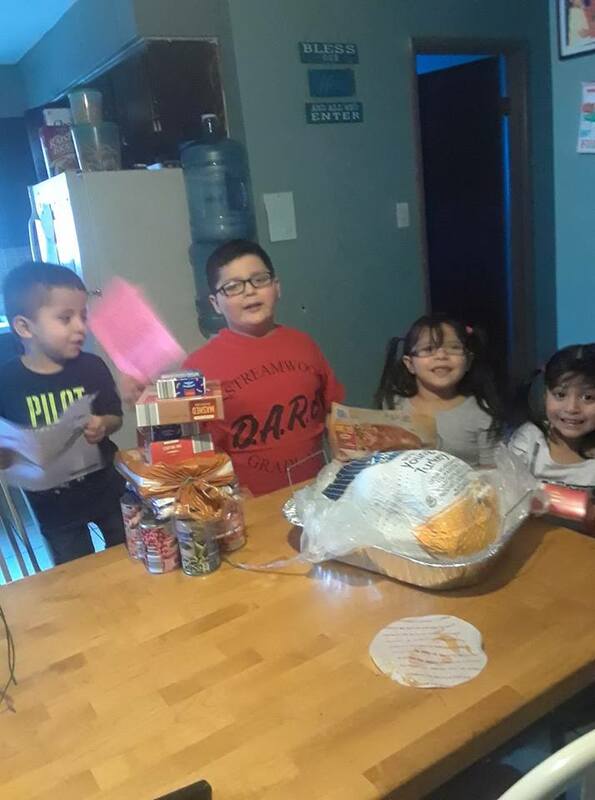 We thank you very much for your kindness and we wish you many more blessings for everyone that helps make all this possible! We really appreciate this gift and we thank God for you! Have a very blessed thanksgiving!! My dad received an amazing meal basket today!! He and I want to thank you for your charity and good cause. Such a wonderful organization!!! Also, is there any way for us to find out who nominated him for a meal? I checked the website, but I didn’t see anything of that nature. He would love to know who sent this to him so that he could thank them. 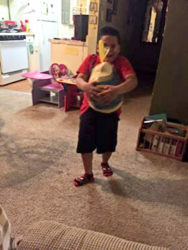 He thinks it’s someone from his church, but he’s not entirely sure. I completely understand if this is supposed to be an anonymous service, but my dad would really like to thank the person who nominated him. Thanks so much!! Very Happy with his Turkey! You guys are all the greatest! Thank you for volunteering to share with others in need! On behalf of the home and school communities of Hanover Countryside School in Streamwood, Thank you from the bottom of our hearts for your care and service to those in need at Thanksgiving time. In appreciation and gratitude. Thank you for delivering to my friend in need! She appreciated it more than you know. I will indeed pay it forward. Merry Christmas and Blessings to you all! THANK YOU!! Saturday I received a surprise carton full of Thanksgiving goodies !! 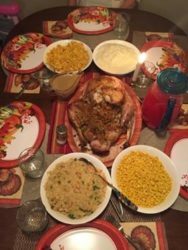 My daughter was in from NJ so we had our Thanksgiving Dinner on Sunday. Our family was truly blesses to have received that gift !! Being retired and on Social Security it isn’t easy to accommodate the holidays. Thanks to you we accomplished a great holiday before she headed home on Monday night. My husband passed away the day after Thanksgiving last year, so we still set a place at the table for him, too 🙂 My heartfelt Thanks to all of you for such a wonderful gift!!! And I forgot to add that my favorite part of the box was the turkey picture colored by a child !! It went right on the fridge!!!! 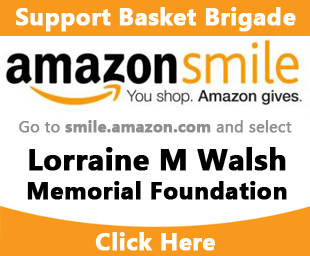 I just wanted to say THANK YOU to the Basket Brigade! The family I nominated was SO incredibly touched and grateful! From the bottom of my heart – THANK YOU! Hi Thank you so much. I received a thanksgiving dinner 5 minutes ago. This means a lot to me. U r so special helping people . I hope you and all your little helpers have a wonderful thanksgiving. 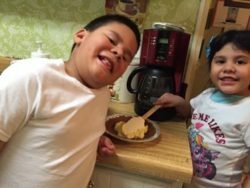 I have known such need…the very need you are providing for families this Thanksgiving. Thank you for coming alongside your fellow man and bearing their burden…lightening their load…bringing joy. You are truly honoring both God and your Mom. I am honored to know you and to see you pass down her legacy. Happy Thanksgiving to you and yours! I’m not sure why or who, but today’s donation was totally unexpected and the biggest surprise I’ve ever received. I recently underwent Spinal Fusion Surgery L4/L5. If you know of anyone who has undergone this procedure, you know that mobility is almost non-existent. I don’t expect to get out (shopping) for at least another month and it’s already been four weeks. This package arrived with perfect timing and is so appreciated.